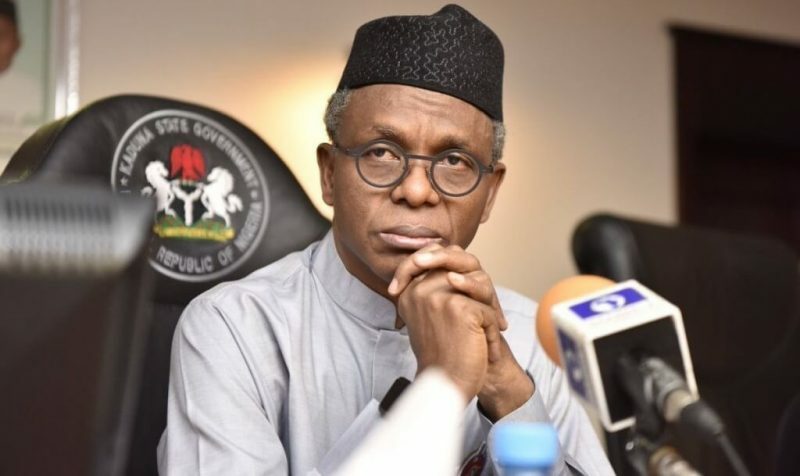 Governor Nasir el-Rufai of Kaduna State has called on all political appointees in the state to submit their resignation letters on or before April 30, as he prepares for his second term in office. The governor’s decision it is believed will afford him the opportunity to the team for his second term in office. Sahara Reporters disclosed that the decision is in accordance with his constitutional prerogative, which allows him to decide on re-appointments while giving the Kaduna State Ministry of Finance adequate time to compute severance payments and reconcile any liabilities. According to the directive, each notice of resignation must be submitted along with a handover note, signed by the political appointee on behalf of the MDA or office to which he or she had been appointed. All resignation letters should be properly addressed to the Principal Private Secretary to the Governor. The statement reads: “As he constitutes the team that will assist him in his second-term, the Governor said he expects the process to be enriched by the handover notes from the political appointees, and the report of the Transition Committee headed by the Deputy Governor-elect, Dr. Hadiza Sabuwa Balarabe.